Green pitted olives, brine (water, salt), red pepper . 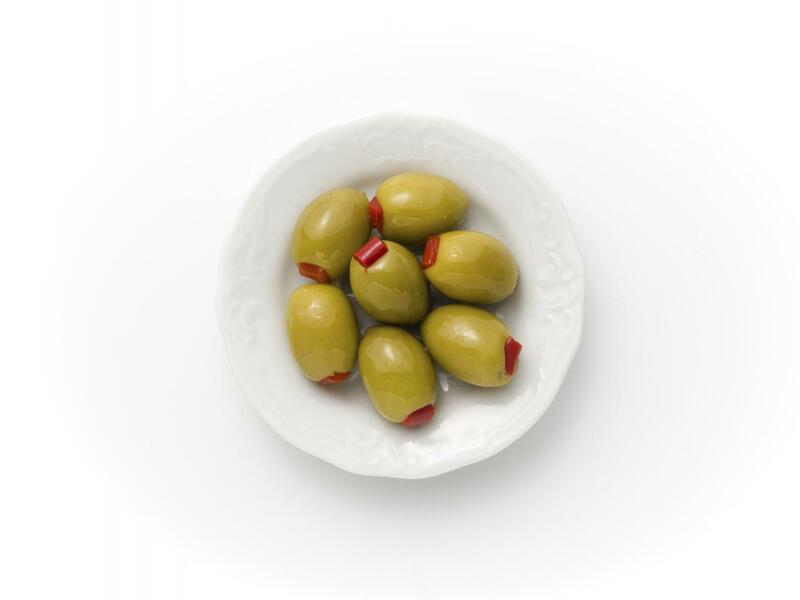 Typical of green olives and red pepper. Yellow green to darker green in the olives and red in the stuffing (peppers).